13 days from £2765pp plus international flights. A really wonderful trip exploring the stunning sights and tastes of Cape Town the profuse wildlife of Kruger and gazing in awe on the majesty of Victoria Falls. 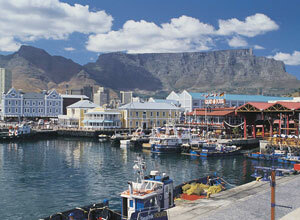 A bit of style and sightseeing, and a bit of wild safari and a whole lot of water - perfect! In Cape Town you'll have 2 full days to explore, time to take the cable car to the top of Table Mountain, to visit the notorious Robben Island, mingle with crowds at the Waterfront, and stroll through the botanic gardens. And don;t miss the beach! You're staying near Camps Bay which has some glorious beaches, too good to miss. 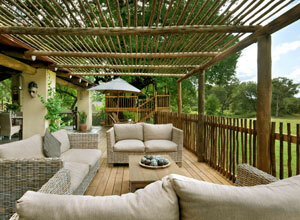 Next you board a plane to fly north-east to Kruger for the wild safari part of of your holiday! 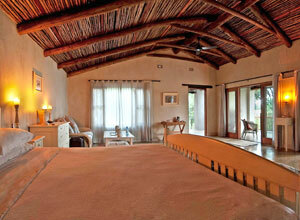 Sabi Sands Game Reserve is a private reserve in the Greater Kruger. There are no fences between this reserve and the national park, and the wildlife viewing here is superb. Led by expert guides on game drives and bush walks you'll get a real feel for the flora and fauna, and you'll end each day with dinner by the camp fire under the starry sky. 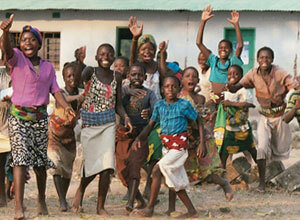 A short flight and a new country - Zimbabwe! 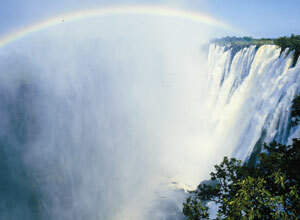 What better finale to your holiday than Victoria Falls? You have a free guided tour, with time to take in the overwhelming scale and force of the falls - expect to get wet, it's all part of the experience! You can also enjoy a civilised cruise on the Zambezi River, a lovely way to round off this special African odyssey. You will be met on arrival at Cape Town airport and driven the half hour or so to your lovely boutique guesthouse, the Trevoyan in the suburb of Tamboerskloof. This beautifully restored Victorian gem is right at the slopes of Table Mountain, land-marked by a majestic old oak tree. Take time to rest and relax after your flight. Staff are happy to recommend and book local restaurants, so you can be assured of a good meal this evening. 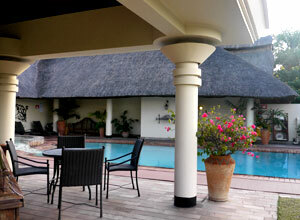 This morning you'll be collected from the guesthouse for the transfer to the airport for the flight to Hoedspruit. 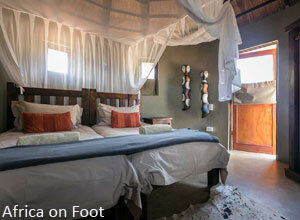 From here you'll be driven to your home for the next 2 nights, Africa on Foot. This intimate rustic safari camp, Africa on Foot is located in the Klaserie Private Game Reserve which lies west of the Greater Kruger National Park sharing open borders. An unfenced camp with sandy walkways and scattered shady trees, Africa on Foot takes a simple, more authentic approach to safari and as the name suggests the emphasis is on walking safaris. Breakfast, dinner. 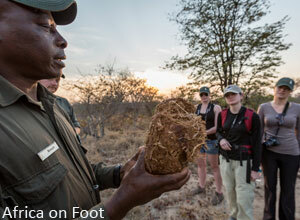 This morning it's an early start as you embark on a walking safari with your guide. It's a great way to experience nature and the bush. Your guide will be with you every step of the way pointing out tracks, and sharing his wealth of knowledge. There's nothing quite like seeing wild animals while on foot. On returning to camp you can tuck in to a hearty breakfast that you will have earned. Then you have free time to relax in camp, and perhaps take a siesta before a late lunch is served. Then you will go out on a game drive to explore the further reaches of the reserve before finding a special spot for a sundowner. Lions, leopard, elephants and a variety of buck are all present on the reserve, see how many you can spot. You will return to camp in time to freshen up before dinner. Full board. A second full day in Sabi Sands, and further opportunities to witness the wildlife of this area, which includes all of the Big 5. Led by an experienced ranger you'll be thrilled by each encounter and will learn about different aspects of the natural world. At the lodge you can enjoy conversations with fellow guests, sip a drink as you relax on the terrace and take a refreshing swim in the pool. You can also treat yourself to a deeply relaxing massage at the spa. The afternoon game drive will include sundowners in the bush, and you'll drive back to camp watching an listening out for nocturnal creatures. Full board. 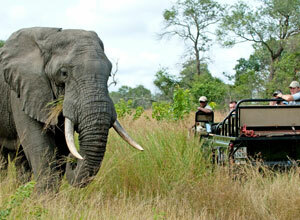 After breakfast you'll be driven to Kruger Mpumalanga airport for the 90 minute flight to Livingstone in Zambia. You then cross the border to Victoria Falls in Zimbabwe for the third stage of your holiday. You'll be driven to Ilala Lodge. This is the closest accommodation to the falls and the cascading waters can be heard from the gardens. 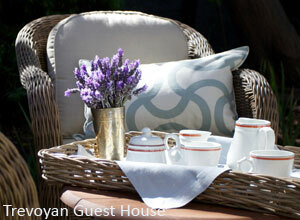 Take things easy this afternoon, make friends with other guests and plan your activities for the next couple of days. Enjoy a three course meal in the Palm restaurant tonight. Breakfast, Dinner. 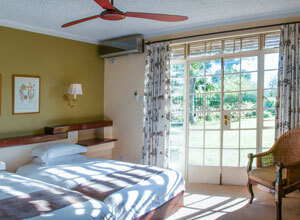 Ilala Lodge has a superb location, close to the falls. A guided tour of the falls is included in your stay. It is a truly awe-inspiring experience – the sight, the sound, the smell and the humbling feeling that this beautiful iconic site has been created by mother nature. There are lots of additional activities available that you can arrange and pay for locally, such as white water rafting and bungee jumping or cultural visits to a local village. It's sure to be a busy day and you'll be glad, at the end of the afternoon, to return to the peace and tranquillity of Ilala Lodge and the stunning gardens. Breakfast. Price notes: 2019 guide price per person sharing. 12 nights accommodation on a twin share basis; private transfers as per the itinerary; meals as specified (bed and breakfast at Trevoyan, full board at Africa on Foot, Nottens and bed and breakfast at Ilala Lodge); local soft drinks, selected spirits, house wines and beers at Nottens; 2 daily bush walks or game drives at Africa on foot, 2 daily games and an optional bush walk at Nottens; 1 three course dinner, a guided tour of Victoria Falls and a sunset boat cruise at Ilala Lodge. This holiday starts in Cape Town, South Africa and ends at Livingstone airport, Zambia. 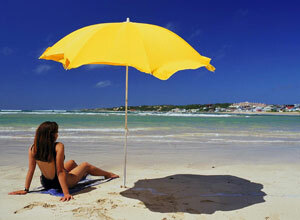 Return flights from the UK start from around £1000, depending on season and availability. We usually book these for you. Departure dates: This is a private tailor made holiday which we can arrange for you at any time of the year, subject to availability. We can also tweak it in any way you like.